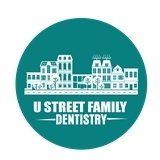 U Street Family Dentistry (Washington) - Book Appointment Online! Dr. Patrick's office was extremely clean, her staff was very professional and her service was top notch. I would recommend this practice for everyone.